“The adrenals are known as ‘the glands of stress,’” writes James Wilson in his book Adrenal Fatigue: The 21st Century Stress Syndrome. “It is their job to enable your body to deal with stress from every possible source, ranging from injury and disease to work and relationship problems. 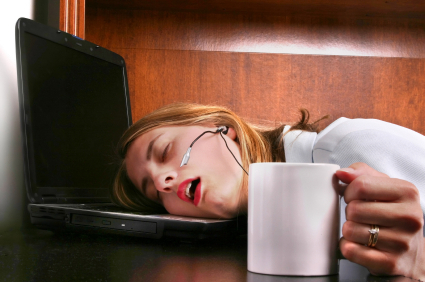 Your resiliency, energy, endurance and your very life all depend on their proper functioning.” When your adrenal glands are fatigued, a condition known as adrenal fatigue or adrenal exhaustion, your entire body feels it and suffers from extreme exhaustion as well. When your adrenal glands become depleted, this leads to a decrease in certain hormone levels, especially cortisol. The deficiencies in certain adrenal hormones will vary with each case. In its most extreme form, this is referred to as Addison’s disease, a condition that causes weight loss, muscle weakness, low blood sugar and low blood pressure, and can be life threatening. Those with adrenal fatigue often also have abnormal blood sugar levels and mental disturbances, such as increased nervousness, and depend upon coffee, soda and other kinds of caffeine to keep them going. One of your adrenal gland’s most important tasks is to get your body ready for the “fight or flight” stress response, which means increasing adrenaline and other hormones. As part of this response, your heart rate and blood pressure increase, your digestion slows, and your body becomes ready to face a potential threat or challenge. While this response is necessary and good when it’s needed, many of us are constantly faced with stress and therefore are in this “fight or flight” mode for far longer than our bodies can handle. 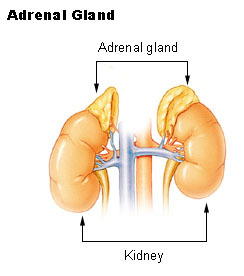 As part of your endocrine system, your adrenal glands secrete more than 50 hormones, many of which are vital for life-maintaining metabolic processes, such as regulating inflammation and managing blood sugar levels, maintaining your body’s balance of water and salt, and controlling your stress response. You will want to remove highly allergenic foods, which stress the adrenals further. Eliminate gluten, which contains gliadins (molecules that trigger inflammatory actions). Safer choices are organic rice, corn, buckwheat, millet, quinoa and amaranth. Also limit sugar,caffeine and alcohol, which are very hard on the adrenals. Do not consume artificial sweeteners or MSG. Eat one-third of your food raw to replenish enzyme stores. Eat high-quality protein in the form of organic pastured eggs, meats and goat dairy. Eating smaller, more frequent meals keeps blood sugar steady. Make a menu plan which contains about 10 meals that you can rotate. Avoid before-bed snacks: Eating late at night affects blood sugar and deep sleep. It is also a common cause of waking up and not being able to fall back asleep. Make sure your bedroom is as dark as possible: When light hits the eyes, it disrupts the circadian rhythm of the pineal gland and production of melatonin and seratonin. There also should be as little light in the bathroom as possible if you get up in the middle of the night. TV and Internet off before 10:00: People having trouble falling asleep and staying asleep has multiplied in each age group in our practice. The light from the TV or Internet tells your body it is still daytime and the pineal gland doesn’t have time to produce enough melatonin and seratonin to put you to sleep. Also, there is a cycle that starts at 10:00pm and goes until 2:00pm where your brain becomes very active again, so it’s important to start winding down early. 1. Wild Whey Grass-Fed Whey Protein : Extremely important for helping stabilize blood sugar throughout the day. 2. Cordyceps by Mushroom Science : Cordyceps help repair adrenal function while supplying energy without taxing the adrenal glands. 3. B-complex Plus by Pure Encapsulations : The more stressed your body, the more B-vitamins are required. 4. Vitamin C with Flavonoids by Thorne Research :The adrenal glands require high amounts of vitamin C to function correctly when dealing with stress. 5. Cortisol Calm by Pure Encapsulations: Ashwagandha and rhodiola work exceptionally well to blunt the effects of cortisol. 6. Magnesium Glycinate by Doctor’s Best: Magnesium calms the nerves and acts as a natural tranquilizer and sleep aid. 1. Wilson, James. Adrenal Fatigue. The 21st Century Stress Syndrome.